classmates. The contents are pictured below. That's a LOT of pieces! 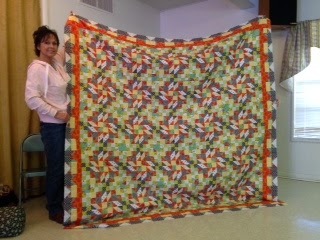 Vickie Mazurek - This is how Vickie said she felt after making that Mystery Quilt!